PT Telekomunikasi Indonesia Tbk - Telkom Indonesia (IDX:TLKM) or known as "Telkom Group/Telkom" is a leading and reputable state-owned telecommunication services company in Indonesia. Together with its 11 direct-subsidiaries, Telkom Indonesia running business in the field of integrated telecommunication services and network in Indonesia and abroad. Its business include fixed wire line connections, fixed wireless connections, mobile communications services, networking and interconnection services and Internet and data communication services. Telkom Indonesia also provides various information, media and edutainment services, including managed services based on cloud and server, e-Commerce, e-Payment services and IT enabler, and other portal services. As a state-owned company, Telkom Indonesia is controlled by the Government of Indonesia. To date, the ownership of PT Telekomunikasi Indonesia Tbk comprise of The Government of Indonesia (52.09%), and Public (47.91%). 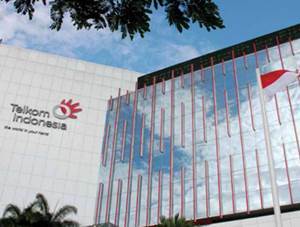 Based in Bandung West Java, Telkom Indonesia runs its business through 7 regional division offices, 58 telecommunication areas and 572 Plasa Telkom offices spread across Indonesia. In term of financial performance, Telkom Indonesia managed to recorded good performance in the business year of 2016 (ended in 31 December 2016). According to PT Telekomunikasi Indonesia Tbk Annual Report 2016 as quoted by JobsCDC.com, Telkom Indonesia registered total revenue of Rp116,333 billion in 2016. This total revenue reflected an 13.53% increase from Rp102,470 billion in 2015. Total profit for the year 2016 amounted to Rp29,172 billion, which represented an increase of 25.11% over total profit for the year recorded in 2015 of Rp23,317 billion. Candidate holds at least a Bachelor Degree (S1) of any major from a reputable university. Not older than 27 years of age on 1 July 2017. Have completed the study period (graduation) as evidenced by attaching a diploma or Certificate of Passed (SKL). Willing to undergo a two years of business bond. Art: Achievement in a championship / music festival or dance. Culture: Achievement in the event Ambassador of Culture, Tourism Ambassador, or election of the Regional Children. JobsCDC.com now available on android device. Download now on Google Play here. Please be aware of recruitment fraud. The entire stage of this selection process is free of charge. Telkom Indonesia - Great People Trainee Program Batch VI Telkom Group July 2017 will never ask for fees or upfront payments for any purposes during the recruitment process such as transportation and accommodation.